Nutrigain Ayurvedic medicine for weight gain contains several natural ingredients that are proven to be naturally weight gaining agents. The ingredients of Herbs such as pippali and maricha improve appetite by enhancing the metabolism of the body. It results in increase of consumption quantity of the regular food. They contain natural weight gaining ingredients such as Ashwagandha, gokshura and musali. 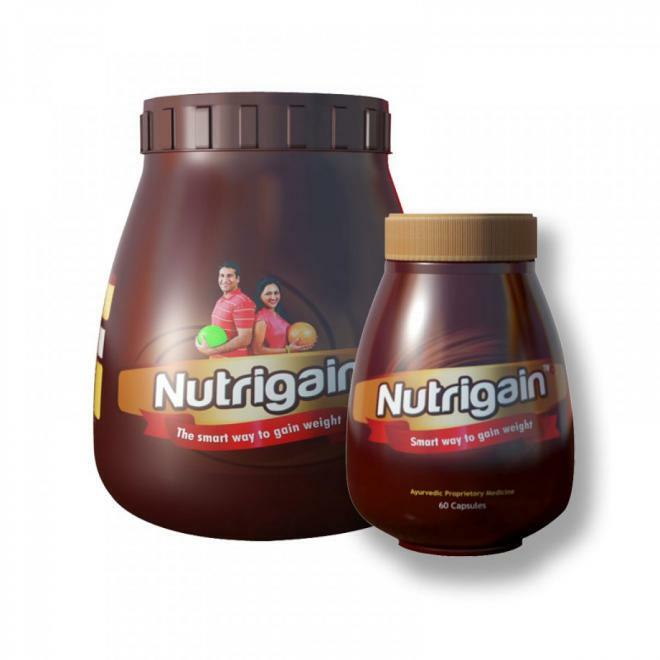 Nutrigain also contains iron content ingredients like Draksha and kharjura that helps the body to gain weight. With all the ingredients Nutrigain enables to increased appetite, consumption and absorption of the nutrients required for the body. The product is suggested for Individuals suffering due to underweight, feeling weak, and unfit, who wish to gain weight in a healthy manner.